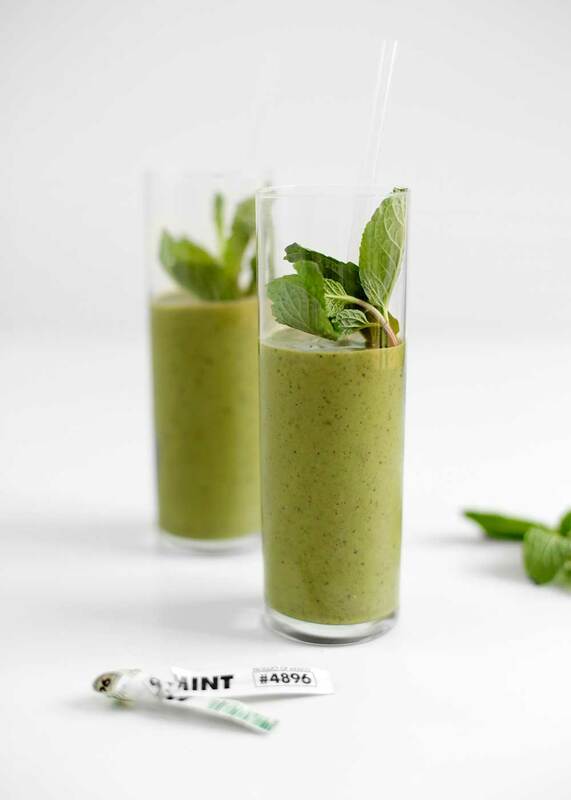 This wholesome Mint Chip Green Smoothie is reminiscent of a Mint Chip Shake. However it's high in protein and the good fats, low in sugar, and so satisfying as a smoothie or an end of day treat. In a Vitamix or high powered blender, add all the ingredients in the order listed to the blender, except for the cacao nibs. Using the smoothie mode, blend until smooth, adding the cacao nibs at the very end to crunch into smaller pieces without pulverizing. Alternatively, turn the blender to medium for about 20 seconds to break down the ice before blending on high speed until smooth, adding in the cacao nibs at the end. You'll know you have the perfect ice ratio when the smoothie burps at the end of a blend. Serve immediately. Note: This wholesome smoothie is low on sugar. If you prefer something a little sweeter, add an extra date or 2. If you don't stock cacao nibs, throw in a couple chocolate chips. PS: We've been using these compostable straws for the past year and love them!